Researchers at the Cedars-Sinai Maxine Dunitz Neurosurgical Institute and Department of Neurosurgery identified immune system targets on cancer stem cells - the cells from which malignant brain tumors are believed to originate and regenerate - and created an experimental vaccine to attack them. A Phase I safety study in human volunteers with recurrent glioblastoma multiforme, the most common and aggressive brain tumor in adults, is underway. 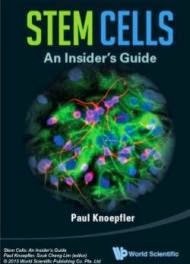 Like normal stem cells, cancer stem cells have the ability to self-renew and generate new cells, but instead of producing healthy cells, they create cancerous cells. In theory, if the cancer stem cells can be destroyed, a tumor may not be able to sustain itself, but if the cancer originators are not removed or destroyed, a tumor will continue to return despite the use of existing cancer-killing therapies. The researchers identified certain fragments of a protein -- CD133 -- that is found on cancer stem cells of some brain tumors and other cancers. In the laboratory, they cultured the proteins with dendritic cells, the immune system's most powerful antigen-presenting cells, which are responsible for helping the immune system recognize and attack invaders. "CD133 is one of several proteins made at high levels in the cancer stem cells of glioblastoma multiforme. Because this protein appears to be associated with resistance of the cancer stem cells to treatment with radiation or chemotherapy or both, we see it as an ideal target for immunotherapy. We have found at least two fragments of the protein that can be targeted to trigger an immune response to kill tumor cells. We don't know yet if the response would be strong enough to prevent a tumor from coming back, but we now have a human clinical trial underway to assess safety for further study." said John Yu, MD, vice chair of the Department of Neurosurgery, director of surgical neuro-oncology, medical director of the Brain Tumor Center, neurosurgical director of the Gamma Knife Program at Cedars-Sinai and senior author of the study. With standard care, which includes surgery, radiation treatment and chemotherapy, median length of survival is 15 months for patients diagnosed with glioblastoma multiforme. Cedars-Sinai researchers have studied dendritic cell immunotherapy since 1997, with the first patient human clinical trial launched in 1998. The dendritic cell vaccines are produced by the biotechnology company ImmunoCellular Therapeutics Ltd., which funded this study. 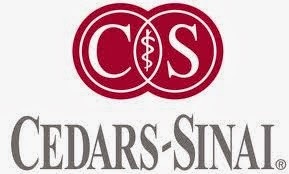 Cedars-Sinai owns equity in the company, and certain rights in the vaccine technology and corresponding intellectual property have been exclusively licensed by Cedars-Sinai to ImmunoCellular Therapeutics. Two members of the research team and authors of this article have ties to the company. Yu, senior author, owns stock in the company and is its founder, chief scientific officer and chair of the board of directors. James Bender, PhD, MPH, a co-author, is ImmunoCellular Therapeutics' vice president for product development and manufacturing.